Kerala SSLC Exam results 2015 will be announced on 20th April 2015 by the Kerala Pareeksha Bhavan. PK Abdu Rabb, Education Minister of Kerala will announce the Results of Kerala SSLC Exam at a press meet held on Thiruvananthapuram. The Results will be available on all the official websites after the official announcement. There is an official android application is available this year created by the itschool Kerala. Students can get their results from the websites www.keralapareekshabhavan.in, www.results.kerala.nic.in, www.keralaresults.nic.in and www.results.itschool.gov.in. 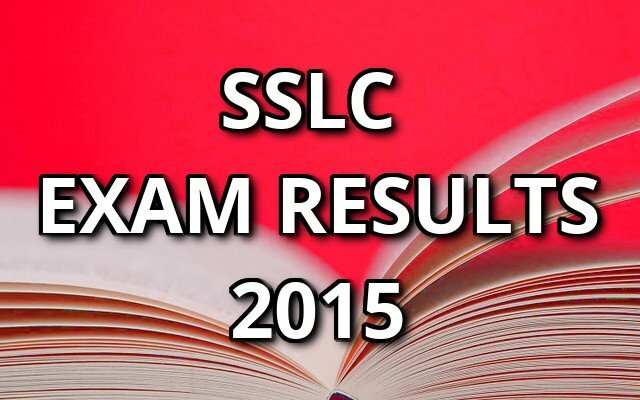 Also SSLC 2015 results are available on Citizens’ Call Centre Number 155300 from BSNL landline. Other Numbers are given below 0471-155300, 0471-2335523, 0471-2115054 and 0471-2115098. Students can call to these numbers from other mobile networks. 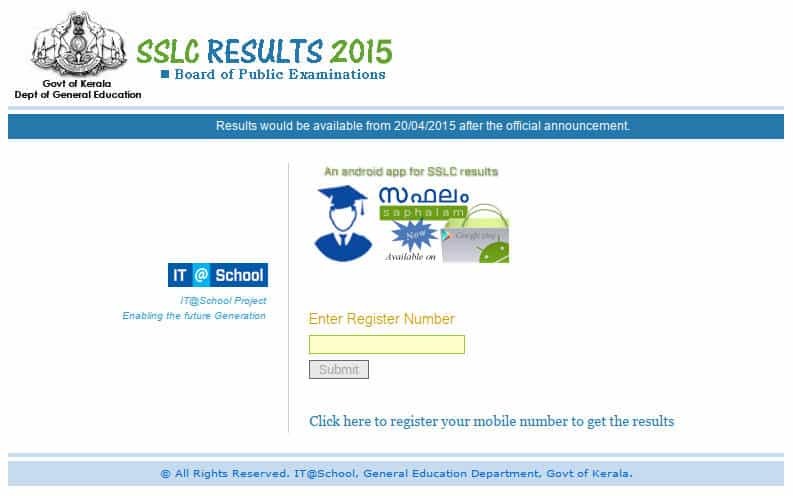 The Register Number of SSLC 2015 is necessary to know the results. This year SSLC Exam was held from 9th March to 26th March. IT Exams are executed before the written exams. Every year Kerala Education Department are trying to annouce the results earlier than the previous year. In 2015 the proposed date was April 16 but it was later extended to 20th of April. The official websites are given below. There are 4,68,000 students are waiting for their SSLC results in 2015. The Education Department is trying to delcare the results early every year. This will help students to plan for future studies to join on Various Plus Two and Vocational Higher Secondary Cources after SSLC. Also Kerala SSLC SAY (Save A Year) Exams are scheduled on June or July. SAY Exams will help students who was failed on SSLC 2015. SSLC 2015 evaluation was started on March 31 and ended on April 16. Tabulation was finished on 18th March. There was a 95.47 pass percentage last year. From 2008 onwards the pass percentage on SSLC Exam are above 90. Also SAY Exams are scheduled to help the students those who failed in the main exams. The results will be available on different websites managed by the Education Department and Government of Kerala mentioned above. Or students can get from the call center located on numbers 0471 2335523 or 2115054.